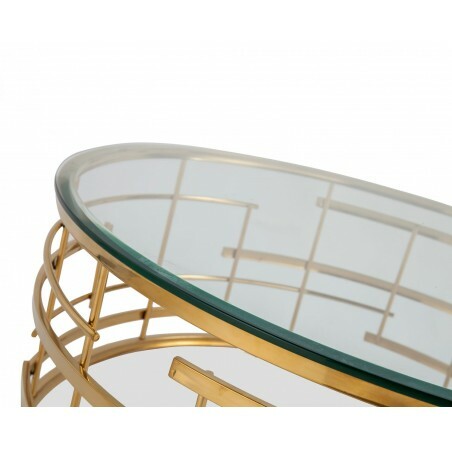 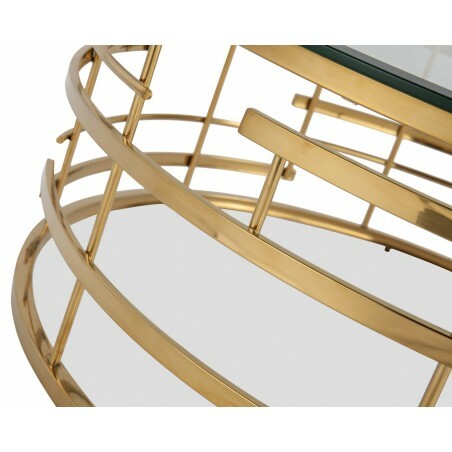 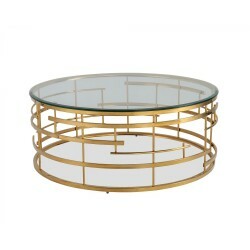 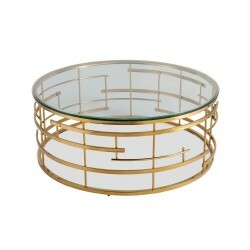 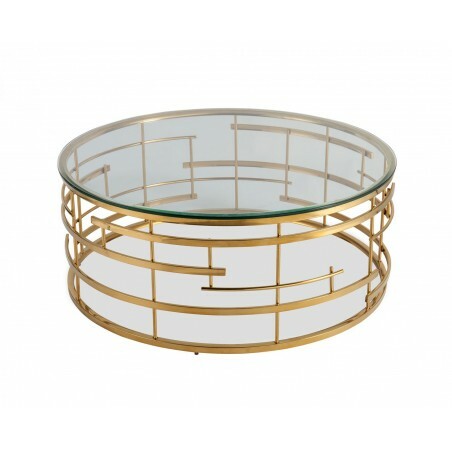 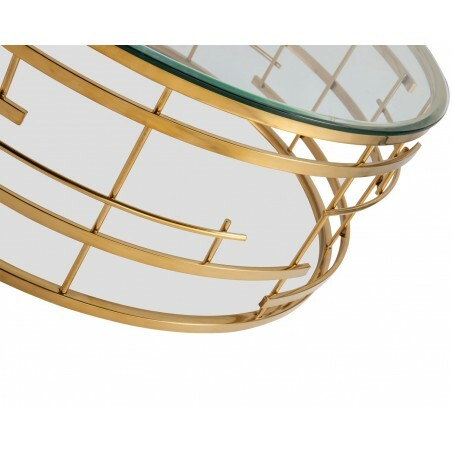 Designer coffee table in brass and glass. 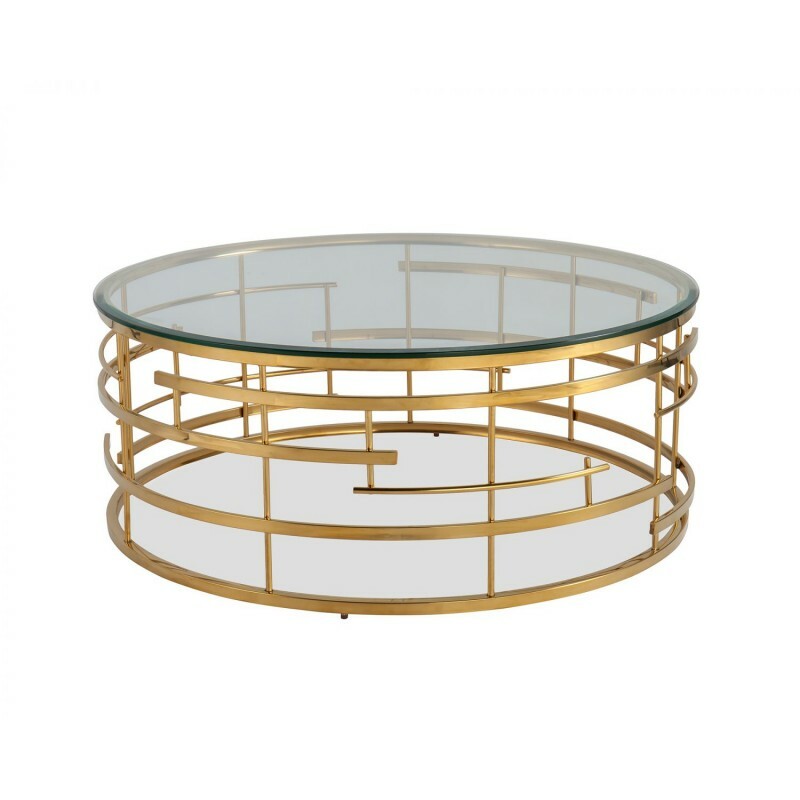 Hand made and meticulously welded, the base of the Vienna Coffee Table by Liang & Eimil showcases a beautiful swirly design. 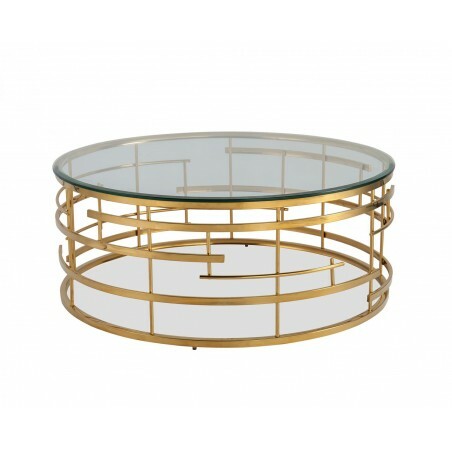 The eye-catching metal work in brass and the toughed glass top together create a wonderful piece of furniture that will add glamour to your lounge.